Rick Brunetto, a native of Piqua, Ohio, earned his Bachelor of Music degree at the University of Cincinnati College Conservatory of Music in 1974, and a Masters in Percussion at Ohio State University in 1978. He went on to study timpani in New York with Fred Hinger, world-renowned timpanist with the Philadelphia and Metropolitan Opera Orchestras. In 1974, he joined the well-known Bob Allen Trio at the Christopher Inn located in Columbus, with whom he performed and recorded for over 13 years. In 1978, he joined the faculty of Denison University, teaching in the areas of percussion, jazz studies, and music technology. He served as Chair of the Music Department from 1992 to 1998. He has also taught at Kenyon College, Mt. Vernon Nazarene College, and Capital University. He has performed with the Columbus Symphony Orchestra, Pro Musica Chamber Orchestra and Welsh Hills Symphony. Rick has conducted and directed concerts with many artists including Louie Bellson, Frank Foster, Marvin Stamm, Jon Faddis, and Bill Watrous. In 1984, he fulfilled a life-long musical ambition to create a 17- piece big band. 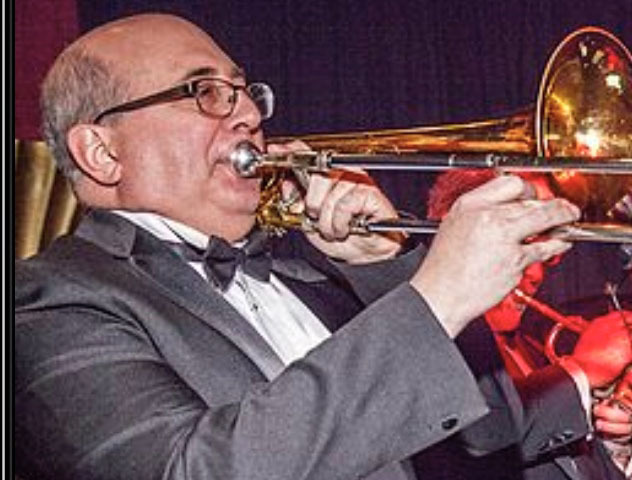 Today the Rick Brunetto Big Band enjoys great success on the Columbus music scene and appears regularly at festivals, clubs and special events. The band’s recordings include: “Tuxedo Junction”, “Pick Your Take”, “Stand Up and Swing”, and their latest CD “So Many Stars So many Dreams.” He has written arrangements and compositions for percussion ensemble, big band and symphony orchestra. He has written arrangements for Deana Martin, daughter of legendary Dean Martin and on occasion tours with her performing throughout the US. Currently Rick is on faculty at St. Charles High School, and Columbus State Community College where he directs bands and teaches courses in music and audio engineering. He continues to perform, write and arrange for the band. Tia Harris, a versatile vocalist and recording artist, has been singing and entertaining audiences all of her life. Her professional career started with an R&B traveling group called Dark Star. 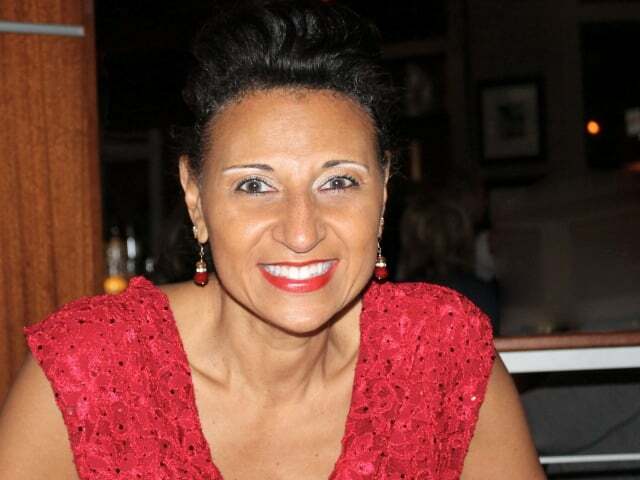 She has worked with many local groups such as Unity, Kim Pensyl, Stan Smith Band, and the Jazz Arts Group (JAG) under the direction of Ray Eubanks. Tia traveled with JAG for their performances in Spain and Denmark. Currently, Tia performs in her own band, The Ranelle Project, comprised of freelance musicians and groups to back her performances. She also is the lead singer for Canta BRASIL (Brazilian jazz band), The Ray Charles Tribute Band, and The Sly Stone Tribute Band. Occasionally, she is a guest vocalist with Vaughn Wiester’s Famous Jazz Orchestra and other groups and musicians. Tia is excited to be a part of the Rick Brunetto Big Band family and delighted to sing Big Band again. Michael is a Columbus Ohio native who has worked in the automobile industry for 28 years. Currently employed at Jim Keim Ford as the Internet Sales Manager. Started singing early in life at church and in school choirs. Rick Brunetto recognized his talent for singing big band while he was performing in the Pepsi Gimme the Mike competition in 2005. Rick asked Michael if I had ever considered performing with a big band and I jumped at the opportunity… and the rest is just sweet Big Band Sound! Jeremy is a graduate of Otterbein University and The Ohio State University. 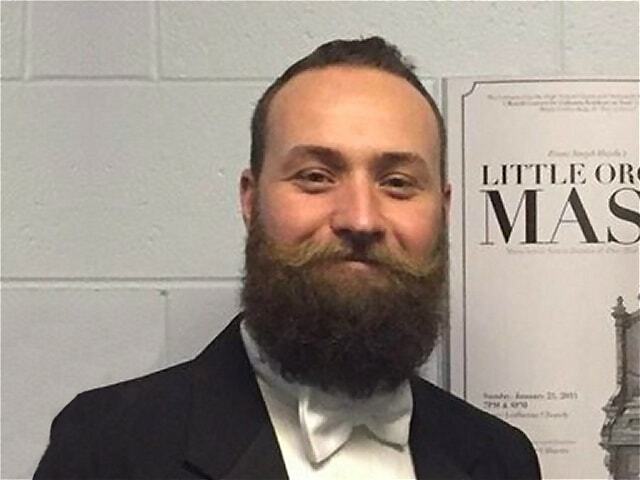 He is currently the Vocal Music Director at Gahanna Lincoln and has taught at West High School. He is co-founder of the Buckeye Bearders a local club for beard enthusiasts. He grew up listening to Sinatra et al and has sung everything form Opera to Broadway to Jazz. 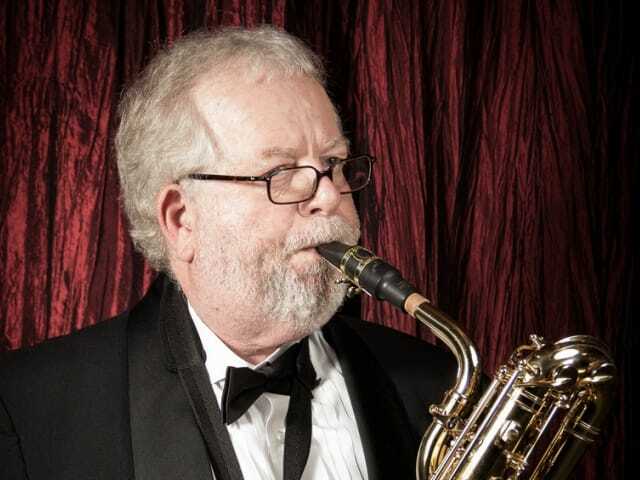 Veteran saxophonist Bob Lebeau is a native of London, Ohio, where he began his playing in the school music program. Bob has a B.S. in Education from Wilmington College and a Masters in Education from Xavier University. For over 30 years he was the principal at Franklin Heights High School in Columbus. While in the U.S. Army he played in the show band with the “Second Army Showmobile”, a touring variety show group. He also toured every major army command in the world with the famous “Rolling Along” All-Army Revue. Bob has worked with Steve Lawrence, Margaret Whiting, Pat O’Bryan, Myron Floren, the Jimmy Dorsey Orchestra directed by Lee Castle, and the Bob Crosby Orchestra. 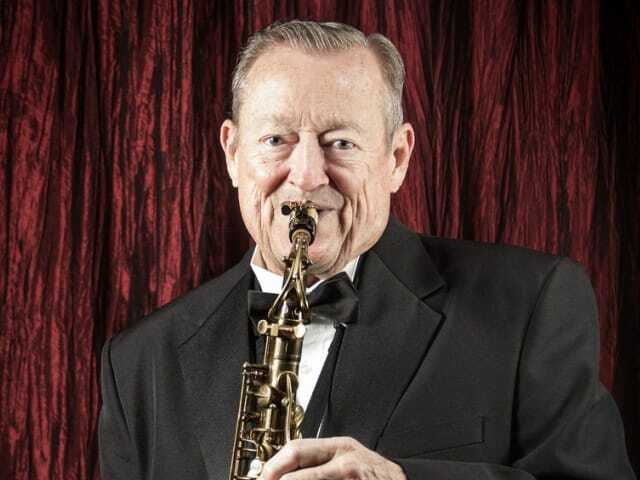 Jim Staten learned to play the saxophone in fifth grade and spent four years as a member of the world famous Airmen of Note, the Air Force jazz band. By 1966, he became music coordinator for the South-Western school district. 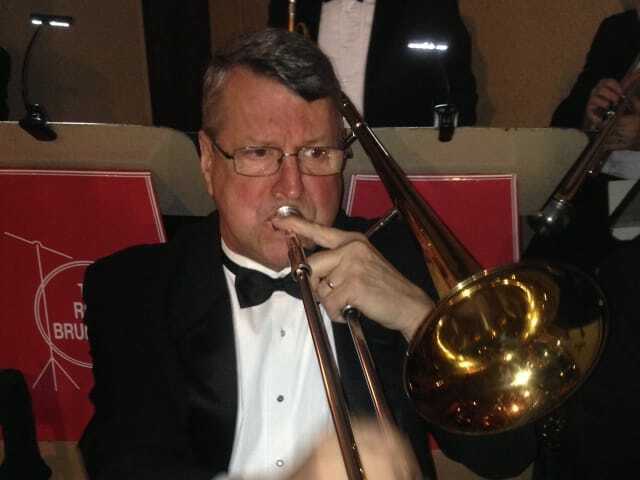 He retired in 2006 and is a substitute teacher and freelance musician for the Columbus Symphony Orchestra and performs with the Grove City Community Winds. His outstanding work for Southwest City Schools was recognized by the establishment of the New Directions Career Center James R. Staten Scholarship. Saxophonist Sonny McBroom has been a staple on the Columbus music. 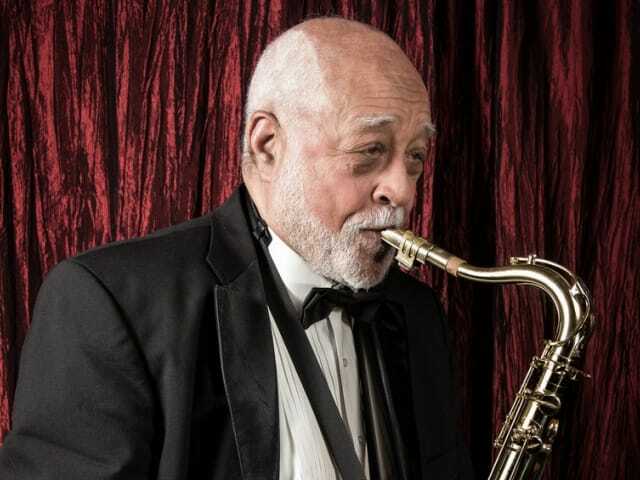 He was featured with the Columbus Jazz Orchestra for more than 25 years. A retired principal from the Columbus Public Schools, Dr. McBroom has delighted audiences all over the world with his superb saxology. Tenor Saxophonist Will England is a native of Grove City Ohio. He was a Jazz Studies major at UNC in Greensboro. After graduating from UNC he became a musical director for Regent Seven Seas Cruises and traveled the world performing on cruise ships. Of note he is the son of Bill England who plays lead trombone with the band. Bob is a graduate of the Ohio State University with a Ph.D. in Music Education. He is retired from the Columbus City Schools. 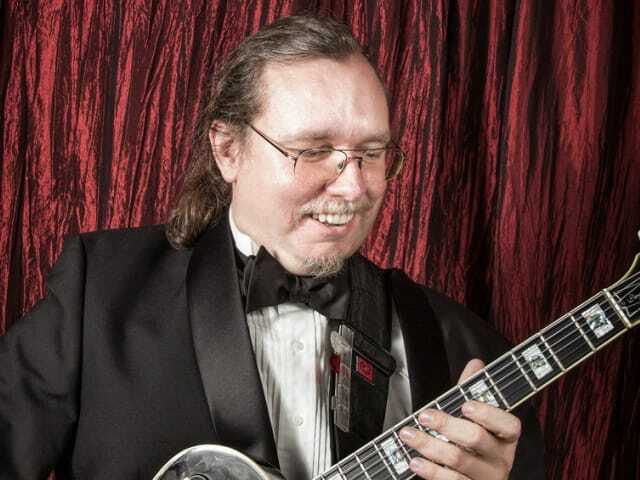 He is an alumni of the U.S. Navy music program and has played locally with the Bruno Masdea Orchestra, the Chuck Selby Orchestra, Sanhedrin Move and the Big Blues Band. He has also played with the Guy Lombardo Orchestra, the Columbus Symphony Orchestra, and the Lancaster Festival Orchestra. In his free time he enjoys cooking and travel. 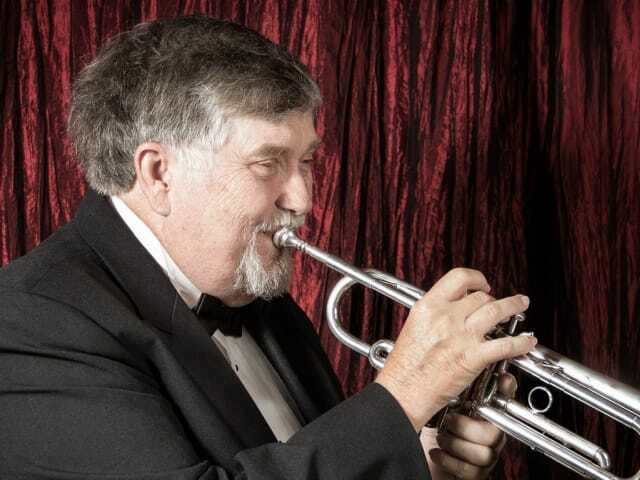 Leading the trumpet section is Dr. Larry Everhart. 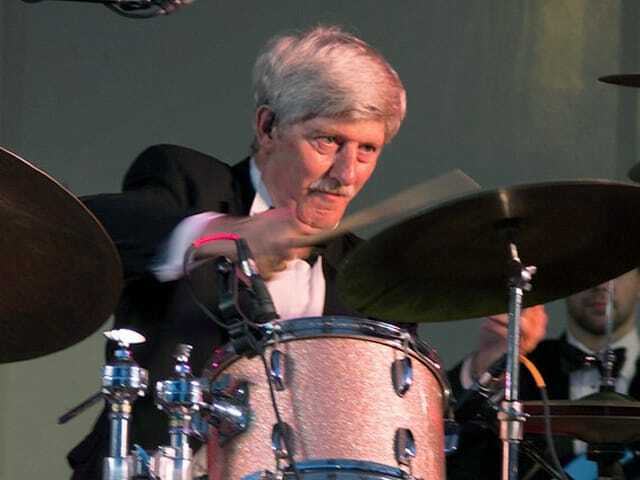 Also a prominent physician in Columbus, Larry has played with his own group “Energy” as well as the Vaughn Wiester Famous Jazz Orchestra, The Doc Everhart Big Band and many fine bands in Central Ohio. Jason is a originally from New Albany, Ohio and attended both The Ohio State University where he was member of the marching band and later Capital University where he graduated with a degree in Music Education. He is an instructor at GnG Music Instruction. Jason covers many of the trumpet solos in the band as well as frequently sharing lead trumpet responsibilities. He is in demand as a freelance player and can be seen in many bands from an Elvis Revue to the pop band The Bug Hounds. 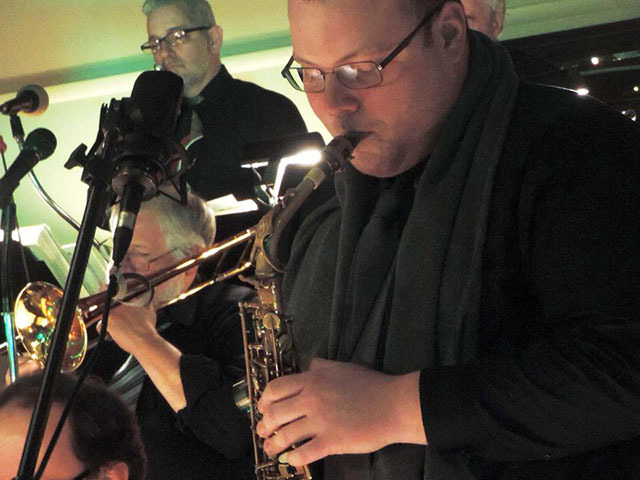 Stephen Fannin has been playing with the Rick Brunetto Big Band for the past year and a half. 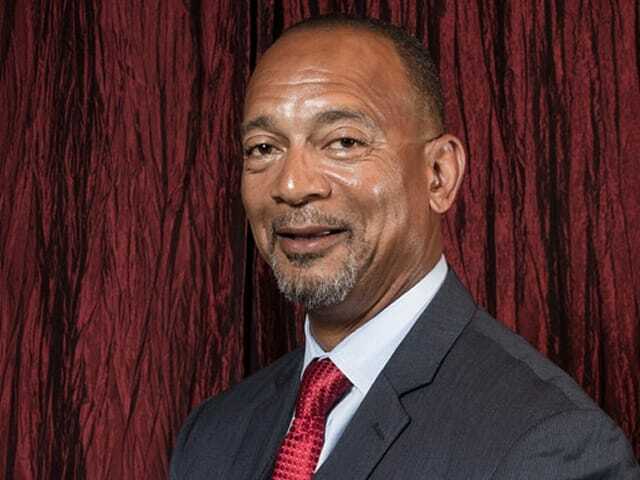 He received his Bachelor of Music degree from Ohio Welseyan University where he played lead trumpet in the jazz ensemble under Dr. Larry Griffin. Stephen also has a Masters degree in Music Performance from the University of Minnesota where he studied with Dr. David Baldwin and Dean Sorenson. He is currently an Assistant Marching Band Director and Head Jazz Ensemble director in the Marysville City School District. 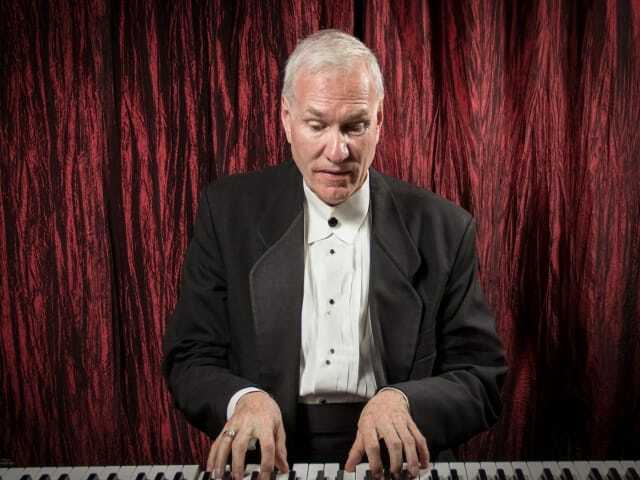 He has performed with several orchestras and jazz groups throughout Columbus including “Faster & Louder”, and enjoys spending time at home with his wife, Krista, and son, Bardey. John has been a full time member of the band since 1992, and a sub for a couple years before that. He is a lifetime resident of Grove City and was a banker for many years.. When Bruno Masdea formed a new big band in the early 70’s, John was asked to play, and kept playing with Bruno for over 20 years. He also plays with Grove City Community Winds Concert Band. 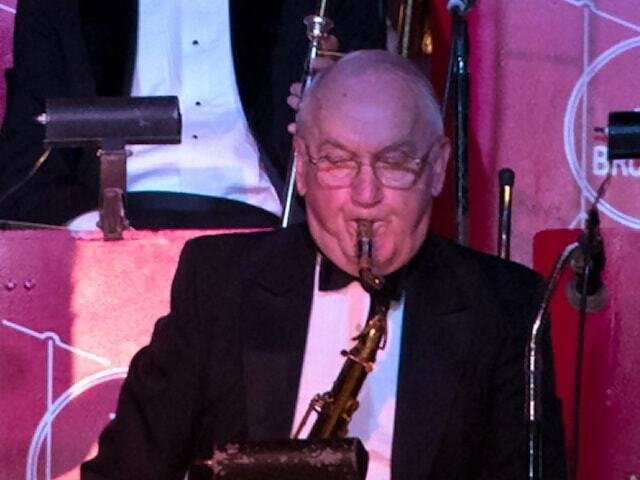 John was also an original member of the Lincoln Village Great Big Band, and played several years with Dr. Bob Everhart’s Big Band. He also was a charter member of the Heart of Ohio Barbershop chorus. 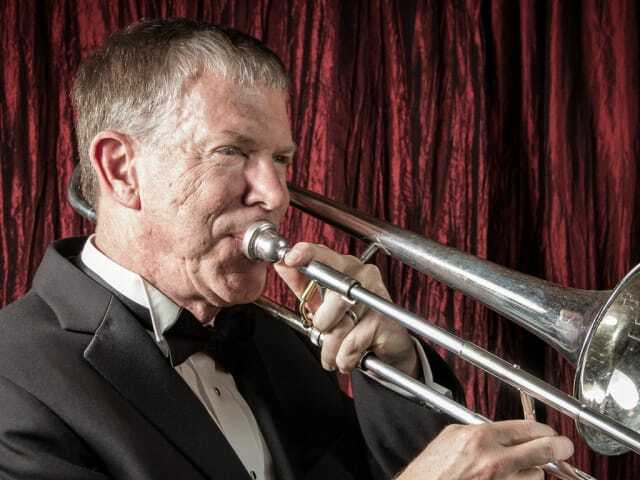 Steve has over 30 years experience playing trombone. 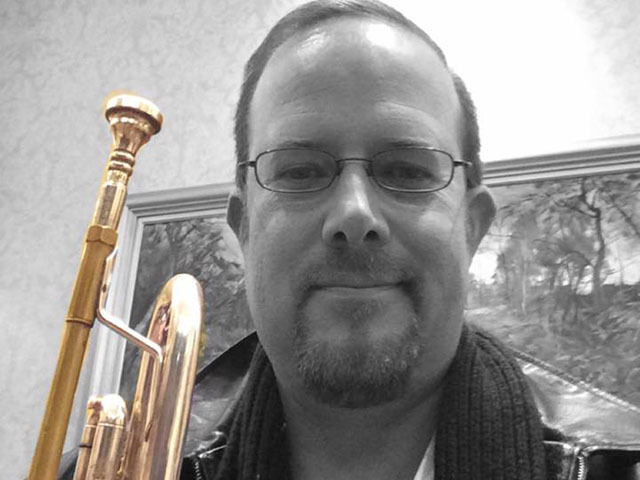 He studied trombone, jazz, and music composition/arranging at The Ohio State University. While at OSU he played in the OSU Jazz Ensemble, Ohio State Marching Band, and various small groups. His trombone instructors included Gary Carney, Joseph Duchi, Vaughn Wiester, Dr. Joel Shonkwiler and Nelson Foucht. Additionally he studied arranging with Dave Wheeler. Steve is also currently playing around Central Ohio with the Eddie Pollina Band, The Bug Hounds, Seven of Arrows, Sons of Gladys, Fox Valley Harvest, and others. Jim Dowdy is graduate of Capital University and The Ohio State University. He was a band director at Canal Winchester from 1976 to 1985 and then at Worthington Schools where he retired in 2006. 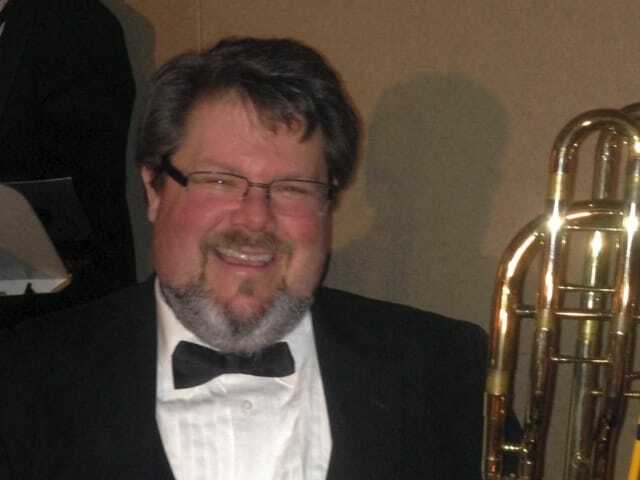 He joined the faculty of Capital University in 2008 where he teaches Music Education and directs the Junior Winds. He has served as president of OMEA and been recognized as one of our leading music educators. Jeff went to Hilliard High School and began subbing in the band while he was a senior. He then went to Ohio State for a minute and left to play on a cruise ship. After returning he joined the Band full time. Then he left town to play with the Tommy Dorsey orchestra led by Buddy Morrow, some more cruising and landed in Chicago. He came back to Columbus in 2010 and rejoined the Band full time in summer 2013. David’s original music compositions have been performed by symphony orchestras, concert bands, jazz bands, choirs and solo artists in southern California and the Midwest. He holds a bachelors degree from the University of Cincinnati College-Conservatory of Music. Incidentally he and Rick were classmates there. Before moving west, David operated Schubach Music Center, marking his family’s fourth generation in the retail music business. In Hollywood, he was twice elected vice president of the Los Angeles Musicians Union, working closely with the Recording Artists Coalition (Don Henley, Sheryl Crow, Stevie Nicks, Carole King) to lobby for artists’ rights. A live-performance contract that David initiated helped free-lance musicians attain health insurance and pension benefits. 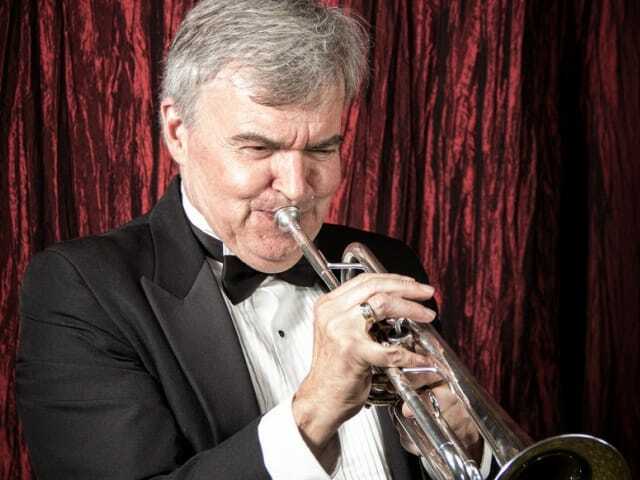 Close to home, he was commissioned to compose a trumpet concerto for the Southeastern Ohio Symphony Orchestra, and a new score for the Charlie Chaplin silent film, “The Immigrant,” which premiered at Ohio University-Zanesville. As a playwright, David’s drama “Back Words” was given its Ohio premiere in Zanesville. He also leads The Schubach Big Band, a 17-piece jazz ensemble, that performs at dances and concerts around the Midwest. Evan is a native of Columbus, Ohio, having lived there all of his life. He recently graduated from Capital University, with a degree in Music Industry. 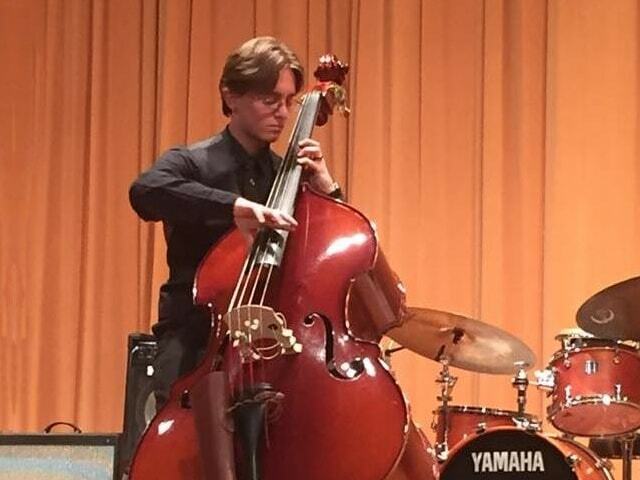 Evan has been playing upright and electric bass for 11 years and began his musical career at the age of 16, playing with local blues band Dock Adams and Blueshammer (of which he was a founding member). His musical experiences include playing and singing in a variety of ensembles both in and outside of Capital such as the Capital Orchestra, both university concert bands, jazz combos, rock/contemporary ensembles, the Chordsmen men’s chorus, and of course, big bands. Evan has been playing with the Rick Brunetto Big Band since the spring of 2015. He is a member of Phi Mu Alpha Sinfonia as well as Pi Kappa Lamba National Music Honor Society and enjoys arranging music, reading, and spending time with his fiancée, Jess. Additionally Evan is the Production Manager for the band. Zsolt has been playing guitar for over 25 years. After his graduation he worked as a concert and studio musician and got involved in the computer game industry as a music composer. In 2000 he moved to Columbus, Ohio to build his carrier in information technology. A couple of years later he re-joined the music scene as a jazz guitarist. 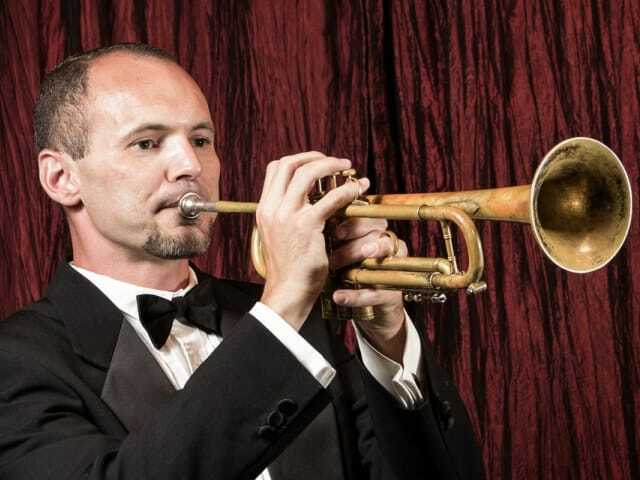 Besides Rick Brunetto’s illustrious big band, he plays with Matt Ellis in Standard Time, appears in the John Vermeulen Octet and Vaughn Wiester’s Famous Jazz Orchestra. Whenever the chance arises, he plays in pit orchestras around the area.